Each bomb has a maraschino cherry center wrapped in chewy chocolate candy and enrobed in festive red confectioners coating. Leave them plain to resemble a real cherry bomb, or sprinkle with nonpareils or sprinkles before the coating dries if you wish. For fun, you can also dip the bombs into popping candy right after they are coated. 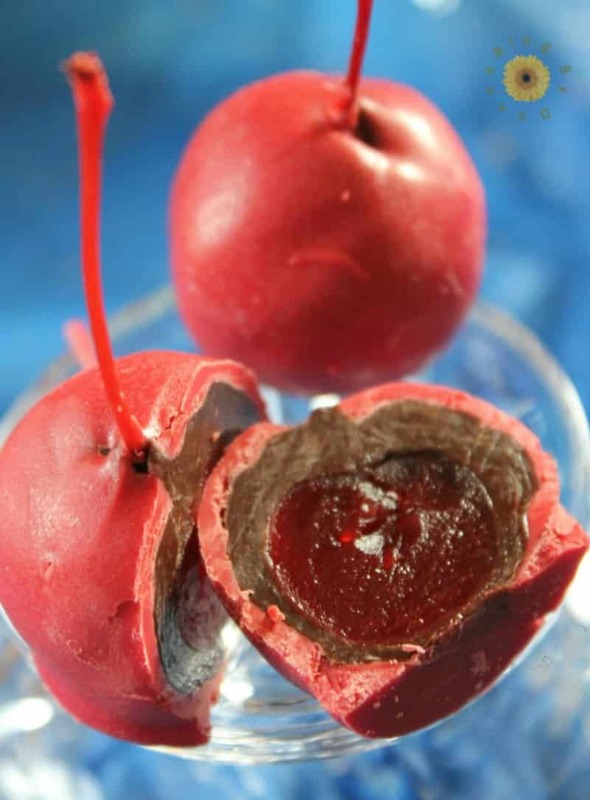 Popping candy is activated by moisture but is not affected by fats, so the Cherry Bombs will crackle and pop when eaten. In the microwave, heat the chocolate chips in a small bowl for 30 seconds. Stir well. Continue to heat 15 seconds at a time, stirring after each cycle. Make sure your bowl and spoon are completely dry before beginning; any water could cause the chocolate to seize up and turn hard. Heat just until melted. 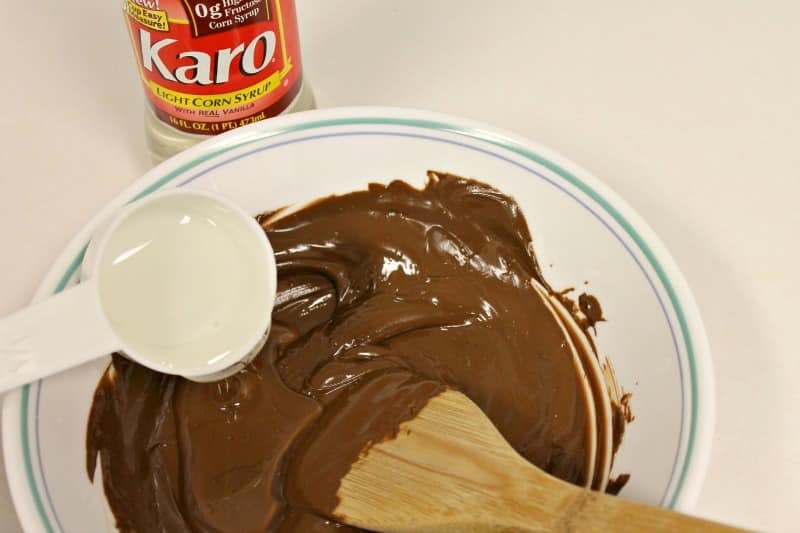 Make chocolate clay by stirring the corn syrup into the chocolate mixture. It will become very firm. 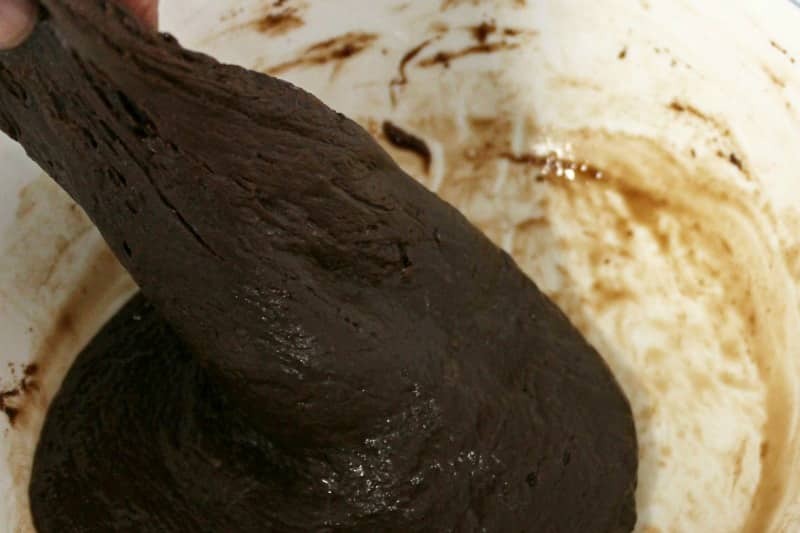 Flatten it onto a plate and blot with a paper towel if necessary to remove excess oil. Cover with plastic wrap and refrigerate for 2 hours. Drain the juice from the cherries and roll them in paper towels to dry. 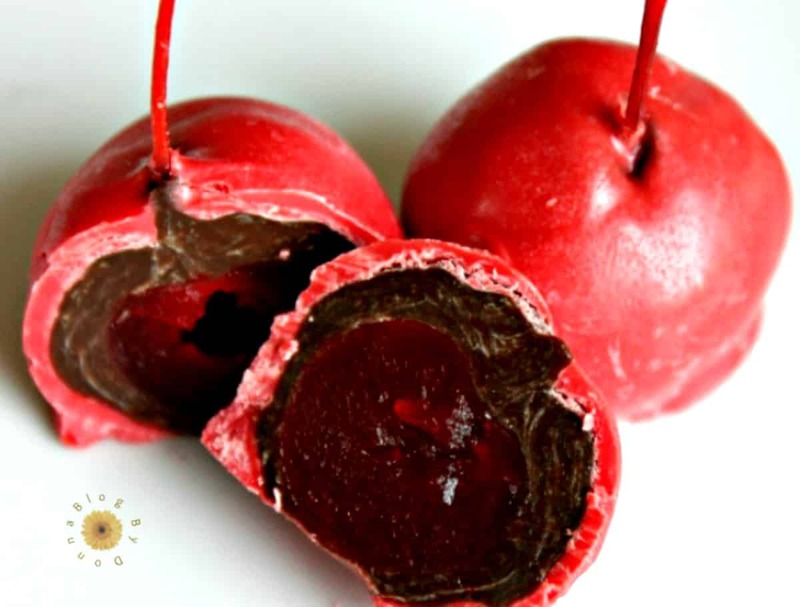 Roll balls out of the chocolate clay a little larger than the size of the cherries. 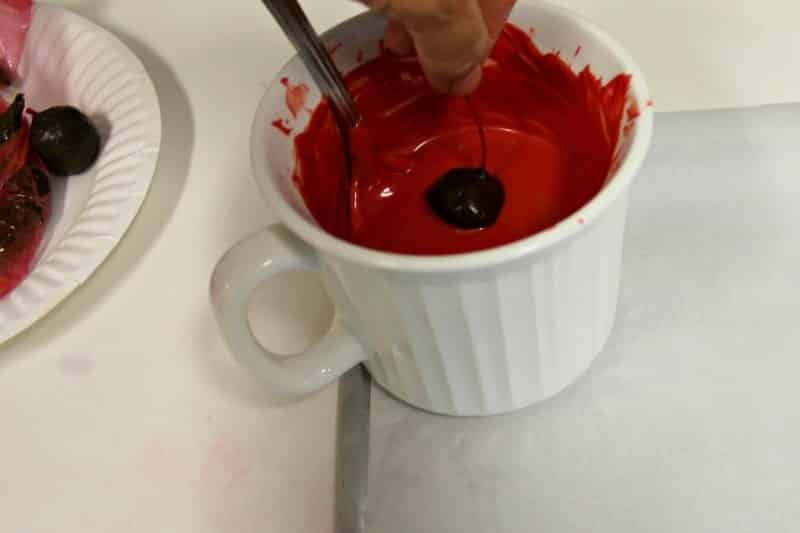 Flatten the chocolate balls, place a cherry in the middle, and pull the chocolate up and over the cherry, leaving only the stem exposed. Chill for 1/2 hour. Cover a baking sheet or platter with waxed paper or parchment. In the microwave, heat the candy melts in a small bowl or large mug for 30 seconds. Stir well. Continue to heat 15 seconds at a time, stirring after each cycle. Stop before the coating is completely melted and let it sit for a few minutes. The heat from the bowl should finish melting the coating. Stir well. 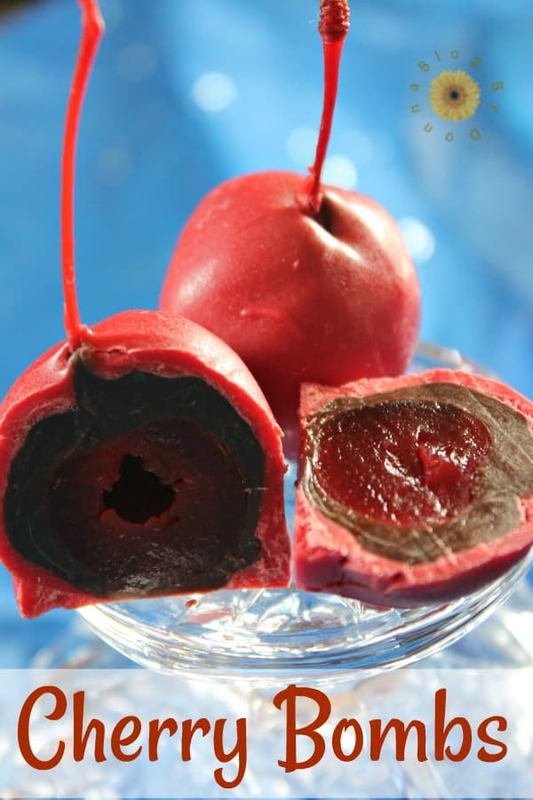 Holding each covered cherry by the stem, dip into the melted coating, covering completely. Shake gently and run the bottom of the candy over the edge of the bowl to remove excess coating. Place on prepared baking sheet or platter. Chill in the refrigerator for 10 minutes to set the coating. I haven’t tried these with fresh cherries, but I may do that soon. If it works, I’ll update this post. 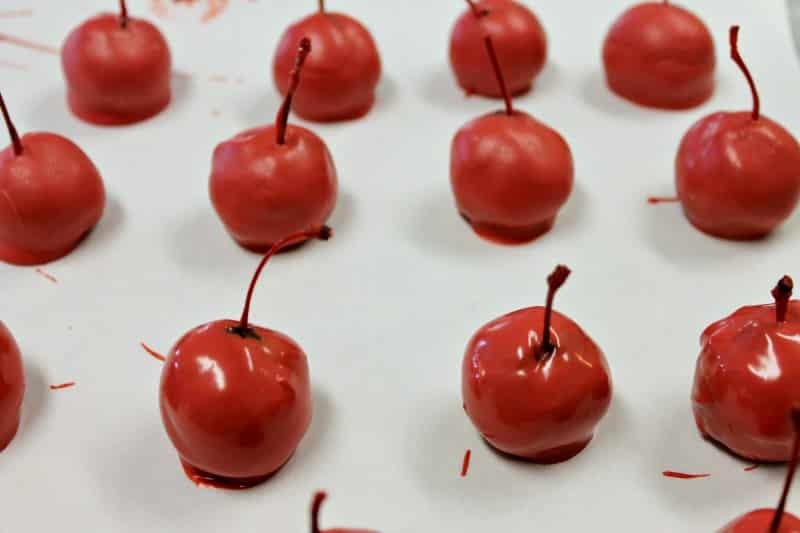 These chocolate covered cherries would be perfect for Valentine’s Day, Christmas, 4th of July, or any holiday or party. And the newest studies say cherries are extremely good for you, so if you use dark chocolate you’ll be giving yourself a good for you treat! If you looking for other delicious desserts try these Vanilla Cappuccino Cupcakes or these Mini Carrot Cakes with Cream Cheese Icing. If you love chocolate and love cherries, you are going to love this chocolate covered cherries recipe. Yes, I definitely love cherries and these sound like such a yummy cherry treat! As soon as the holidays come around my son is looking for the boxes of chocolate covered cherries, I bet these are a 100 times better. Can not wait to try these! I wish I could have one right now! These look so good. I would love to make them for my cherry-loving daughter! Thanks for the idea, going to save the recipe. Your pictures are awesome too! I like regular cherries (lol, how to describe the difference I don’t know?! ), but not maraschino cherries. My daughter on the other hand LOVES maraschino cherries. So much so that she can eat a bowlful of them in one sitting – she’d really enjoy these I bet. Wow! These are beautiful! Too bad I hate cherries! My daughter and my husband love them though, so I think I might actually give this a go! Man those look so good. I wouldn’t have thought to double dip them like that! YUMMY!!! YUMMY!!! Thank you for sharing. Yum! These look delicious, Donna! I love cherries, they are so healthy and tasty! Those are so cute – they would be a great gift! I only like maraschino cherries, so I think these would be good. I know my kids would like them! My middle child is obsessed with cherries & always stealing them from my ice cream (on those rare occasions I get ice cream). I would love to make that adorable treat! One of my sisters loved chocolate covered cherries, bet she’d like these too! OH MY GOODNESS……….this is seriously just what I need after the week I’ve had! Yummy! I am making some soon for our girls night in! I’d so make these and then play the song Cherry Bomb as I ate them! Yummy! Thanks for sharing – I love cherries! I know that my mom would love something like this! Oh these look so yummy. I would love to try to make them for the family. These look oooooh sooo good. I LOVE cherries. In fact, I just bought a big bag of them. I’m going to have to consider doing this too. Thank you for an idea of how to use them. These are so easy and you would never know it by looking at them. Definitely pinning this and will make them around the holiday season. I’m not a huge fan of cherries, but these look so good! And easy, too. These look so yummy! I think the fresh cherries would had a nice bitterness with the chocolate! These are some cherry cordials I would actually eat. Thank you for sharing this yummy recipe! These look AMAZING! I will definitely have to make them! I’ve never even heard of these! They look delicious! They would also make good candies to make for friends and family during the holidays! 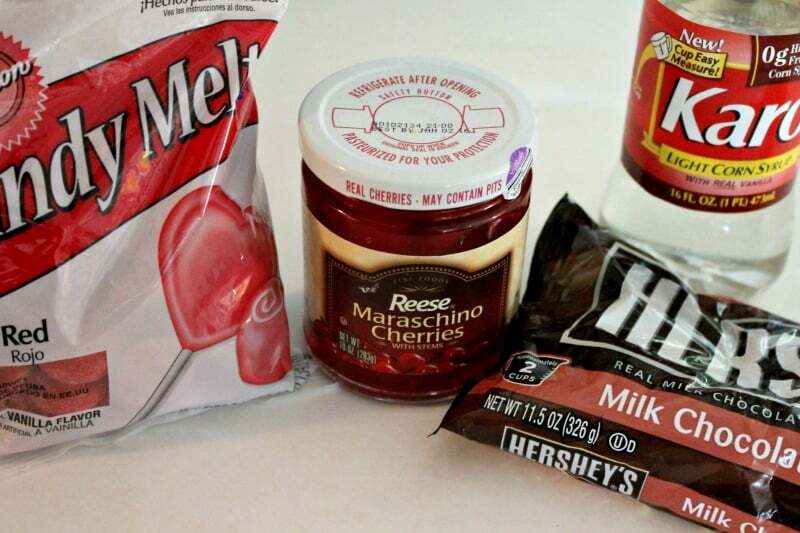 I have never thought about doing this with maraschino cherries before. These look so delicious. I know my grandkids would go gaga over these. Thanks for the recipe. My wife would love this! I will definitely have to show her this recipe. Ohhh boy I am excited about this recipe ! I pinned it so I wont loose it. I’ve never heard of these but they sure do look delicious! 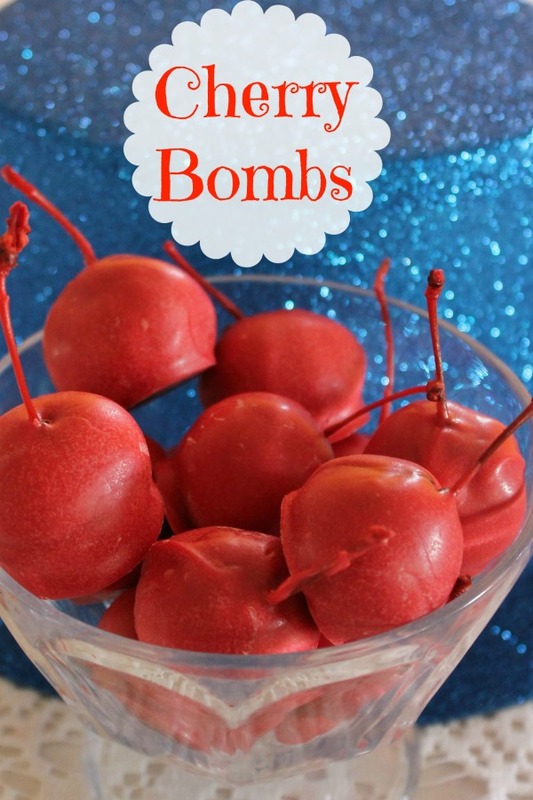 I think these Cherry Bombs would make a great Christmas treat. Can I try this with other fruits? I’d like to try it with strawberries. Thank you for sharing this recipe. These looks delicious and beautiful also. I’ll attempt the recipe today! Drooling! Probably going to have to try these. Haha. Thanks for sharing. these look so good!!! i love cherry and chocolate!